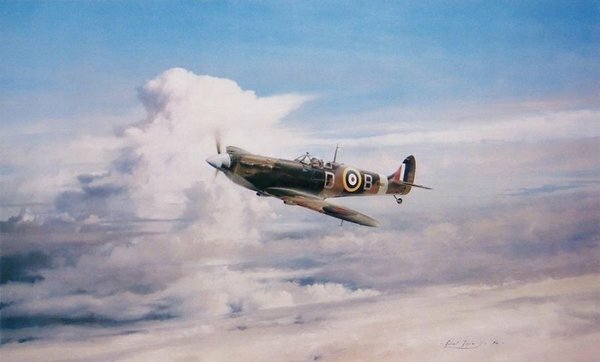 Originally published in 1982, Robert Taylor’s famous painting depicts legendary Ace, Douglas Bader flying his Mk.Va Spitfire high above the coast of Northern France in 1941. 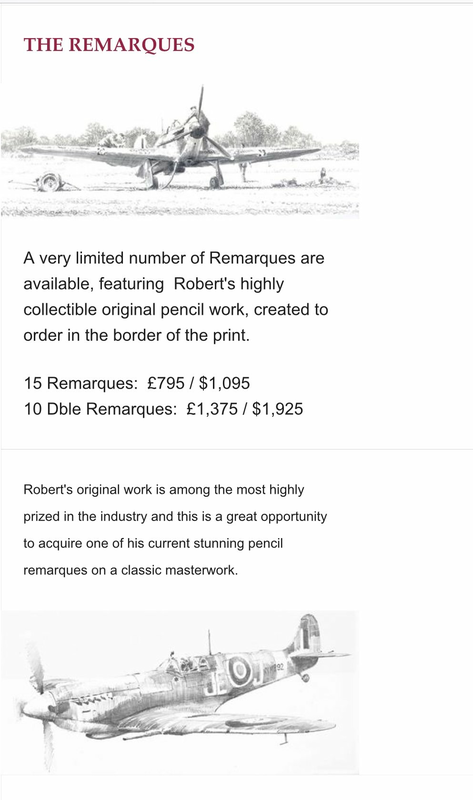 To help mark the 100th Anniversary of the RAF, we are delighted to make available this classic Robert Taylor painting, featuring one of the most iconic fighter Aces in history – Sir Douglas Bader. 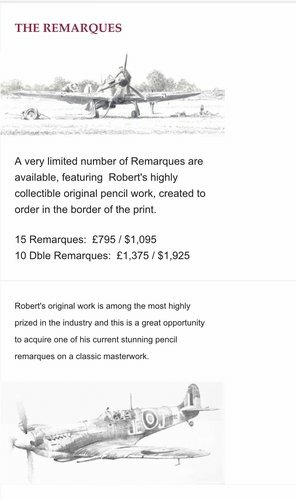 A very limited number of Remarques are available, featuring Robert's highly collectible original pencil work, created to order in the border of the print.